Flu season is here, but you don’t have to panic. Even though the flu may make you feel like the walking dead, it is far more manageable than a zombie apocalypse. There are a few simple things you can do to prevent falling ill. No, you don’t have to occupy an abandoned prison and quarantine yourself. You can simply take some steps to prevent the flu, like washing your hands frequently and getting a flu shot. If you are concerned about getting the flu, you may be asking this question: “Where do I get a flu shot?” If you live in Candler, NC, the answer is FastMed. The flu shot is the most effective protection we have against the influenza virus, but getting the shot doesn’t mean you are 100% guaranteed to not get the flu. If you received the flu shot, but still got the flu, there is evidence to suggest having your flu shot may reduce the length and severity of your symptoms. 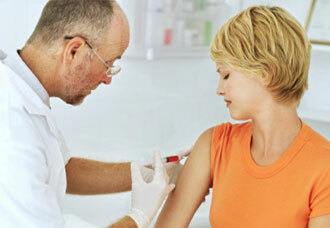 With FastMed, the question of “where do I get a flu shot?” is a no brainer. Our Candler, NC, clinic offers fast, convenient, and affordable services for children and adults. That includes flu shots and other vaccinations. The CDC recommends that everyone over 6 months of age get a flu shot. If you haven’t gotten yours yet, it isn’t too late. Let FastMed be your answer for the question “where do I get a flu shot in Candler, NC?” We open early and close late, so you can get your flu shot at your convenience. We are even open on the weekends! The medical professionals at our Candler clinic are dedicated to providing you with the best care possible.